At the very center of the historical district Munich, the lack of green islands and vegetation increase the microclimatic temperature of the city. 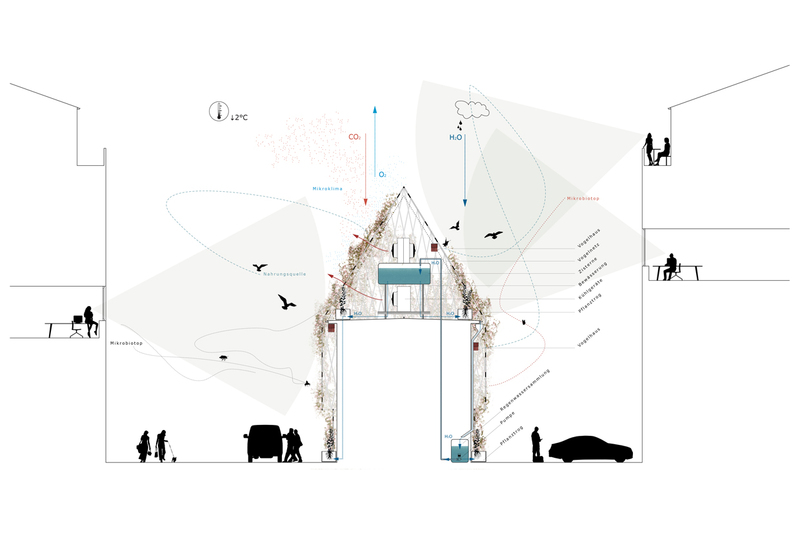 M28 is aiming to counter heat islands and simultaneously providing ecological performance. 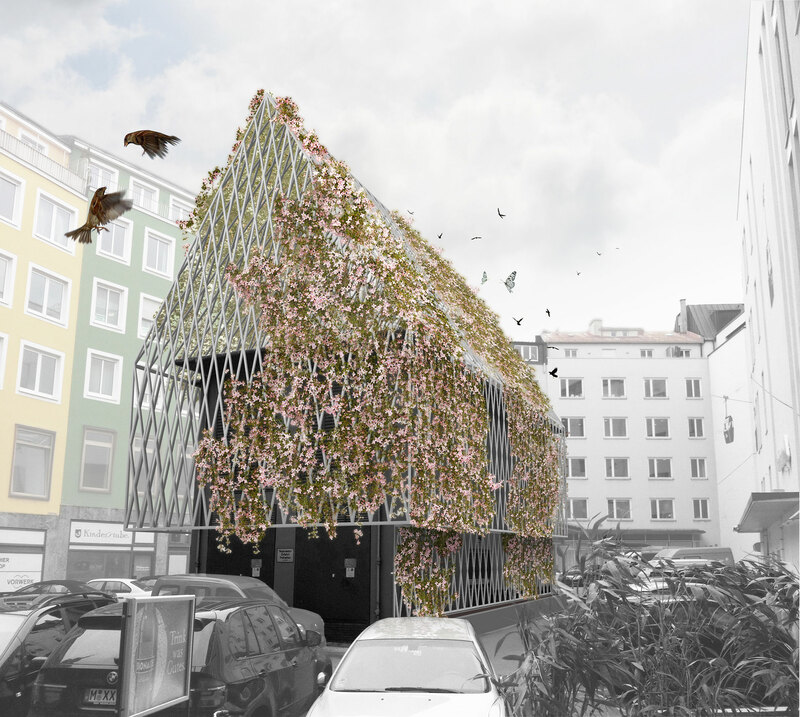 Built on top of an existing electrical infrastructure, a lattice-structure is proposed to be grown over by climbing plants and vines for creating a protective habitat for bird nisting places. Additional infrastructure, e.g. water tank and fog system is positioned within the roof structure. Through shading and evapo-transpiration of the plants, the structure enables the reduction of summer heat while providing a new vegetative center for the urban courtyard.